Anyone who has undertaken a home renovation project and lived to tell the tale has stories about the problems and frustrations inherent in even the smallest project. Ashampoo Home Designer ($20, 10-day free trial) tries to make it easier for you. 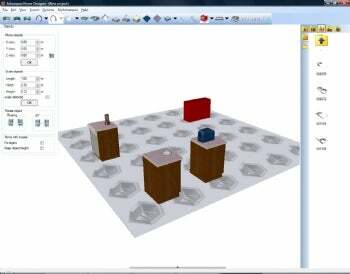 By letting you see the project in 3D ahead of time, it might help you make sure it all looks right and fits together. However, given its limitations, you may not get nearly as much help as you wish--and you may instead get another helping of frustration. Ashampoo Home Designer does not do a good job of helping you design home renovation projects.